That continues to be true and will be until Bamber adds a third victory at Circuit de la Sarthe. But what’s changed is that, for the first time heading into this Sunday’s Sahlen’s Six Hours of The Glen, both drivers of the No. 912 Porsche 911 RSR are winners at Le Mans. 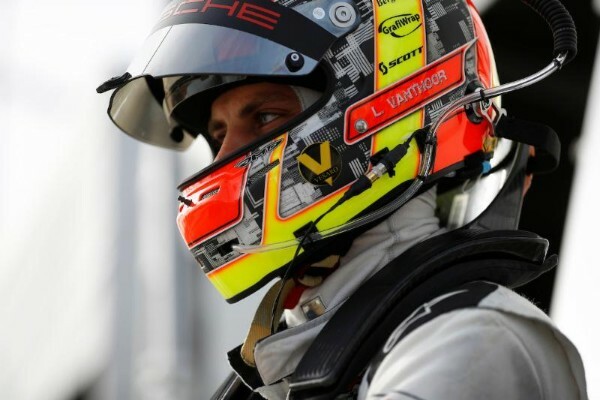 Belgian driver Laurens Vanthoor, who is in his second full season in the WeatherTech Championship in 2018, earned the GTE Pro class victory at Le Mans earlier this month, sharing the No. 92 911 RSR with fellow Porsche factory drivers Michael Christensen and Kevin Estre for a Germany-based Porsche team. This weekend, he’ll be reunited with Bamber in the No. 912 with the U.S.-based Porsche GT Team at the 3.4-mile Watkins Glen International circuit. And while winning Le Mans was clearly a career highlight, Vanthoor is looking forward to getting back down to business in the WeatherTech Championship GT Le Mans (GTLM) class. “It’s a relief,” he says of winning Le Mans. “You’ve already achieved something pretty nice this season, and now for me personally, I’m focused on trying to get the championship. Last year for us was a year to learn and adapt to a new car and for me being a new driver there. Vanthoor and Bamber are currently second in the GTLM standings, trailing No. 67 Ford Chip Ganassi Racing Ford GT teammates Ryan Briscoe and Richard Westbrook by seven points, 121-114. Westbrook and Briscoe have led the standings since winning the season-opening Rolex 24 At Daytona, but the No. 912 teammates are hot on their heels with a victory last time out in May’s Acura Sports Car Challenge at Mid-Ohio. In fact, between the victories at Mid-Ohio and Le Mans, and a strong run in May’s Nürburgring 24 for which Vanthoor qualified on the pole position, he’s carrying all-important momentum to upstate New York. “I’m a believer that – generally in life, and especially also when you have a motorsport career – you have highs and lows,” Vanthoor said. “When you’re having a low, it’s hard. It’s difficult to get on top of that, but the only choice you have is to wait to get back on the highs. Vanthoor was proud to be a part of giving Porsche a “good ending” at Le Mans. He says he’s put his Le Mans trophy on display in his living room alongside trophies from other prestigious wins such as the 24 Hours of Spa and the Nürburgring. But racing at Le Mans also brought with it a great deal of pressure. That’s another reason why he’s looking forward to getting back to racing in the WeatherTech Championship this weekend. Even better, he gets to go back to racing at one of North America’s classic road racing facilities. Like many others in the WeatherTech Championship, he enjoys racing at The Glen.